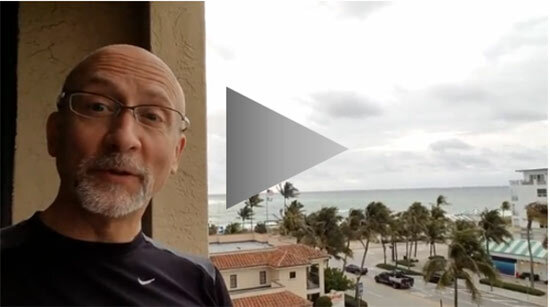 Good morning from Delray Beach, Florida, where I’m spending a few days with your fellow subscribers at the Money Map Press Black Diamond Conference. I’ve just had a delightful run on the beach and wrapped up a little martial arts practice – I don’t get to do that along the Atlantic very often, so it was a real treat! Speaking of which, let’s talk about current market conditions for a moment. The indices are zooming from one headline to the next and, in the process, they’re up one moment… down the next. That’s frustrating for a lot of investors for obvious reasons. But here’s the thing… it doesn’t have to be that way! You focus on the Six Unstoppable Trends we talk about frequently; not what various journalists think about the trends (that is if they understand ’em to begin with – most don’t). You limit new money to companies making “must-have” products and services, not “nice to haves.” Lyft Inc. (NasdaqGS:LYFT) is a good example of what you don’t want to buy and the type of risk you don’t want in your portfolio. I think it’s very telling that activist investor Carl Icahn sold his stake before the company went public and left individual investors holding the bag. You keep a sharp eye on risk management at all times, not just when it’s convenient, like a lot of people think. Most brokerages – both online and old school – allow you to place orders in advance by specifying the specific prices and conditions under which you want ’em to trigger. That helps you maintain control AND get on with your life, rather than having to sit by your computer all day unless, of course, that’s what you like to do. So hang in there and do your best to ignore the headlines that are confusing other investors. We know where the money is and where the profits are most likely to be! The keys to big profits AND small risks are deceptively simple. Knowing what to listen to and what to dismiss matters. Turn off the headlines and concentrate on what really matters.